I cannot honestly remember where I picked this up but it is described as a luxury handwash and indeed it does look quite luxurious in its clear container with clear pale yellowy orange contents in a copy of a Molton Brown looking container. The name is on the side going sideways upwards in black hollow print so that it isn't really obvious. It also says it is a handwash in English but then in French says it is a gel for the bath and shower but as it is made in England maybe something was lost in the translation. We have just finished this handwash and it has been in our ensuite bathroom for about three months with two of us using it pretty regularly. It is a largish container holding 500ml so bigger than most branded handwashes around. I liked the fact that it was clear and the scent name appealed. I finally managed to get into the thing; I can never work out the twist and push on the nozzle of these dispensers. I pressed down and out came the right sort of amount of the soap for washing my hands and the smell was lovely. The scent was very much orange but sort of orange blossom, neroli and a hint of mint just to lift it and freshen the sweet aroma. It was so nice that I would go upstairs to wash my hands sometimes just because I knew they would smell nice afterwards. According to their website the handwash can be used as a shower gel and bath gel too. There are three options in this luxury ranges aromas all blended with essential oils. 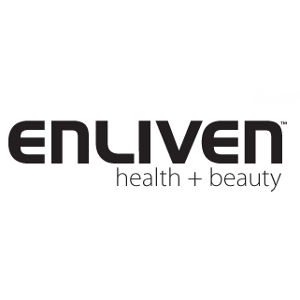 Enliven are made in Stratford Upon Avon and they do not test any of their products on animals. I can't say I had heard of them before buying this but I do like to support British companies where I can so I will buy their products again as they are good quality. They are exporting to around sixty countries and I was fascinated to read that they sold 10 million bottles abroad in lthe last year. Very strangely their number one country they exported to was Egypt where they sold half a million bottles and the next largest country to buy their products was the UAE where their products are widely sold in the supermarkets in Dubai. All in all I was happy with my handwash but have not tried it as a shower gel or bath gel but I don't see why it wouldn't be absolutely fine. It smelled lovely and fresh and had natural essential oils giving the fragrance so it smelled natural and sweet as well as a lift coming from the mint. This is a product I will buy again and I am looking forward to trying others in the luxury range which include; Invigorating- Geranium + Mountain Pepper , Refreshing- Orange + Fresh Mint ,Calming- Cedarwood + Patchouli. I do rather like the sound of the other two so will be looking out for them. "I cannot honestly remember where I picked this up but it is described as a luxury handwash and indeed it does look quite luxurious in..."